SALIES DE BEARN - Ideally situated villa within walking distance to tourist town. Ref. 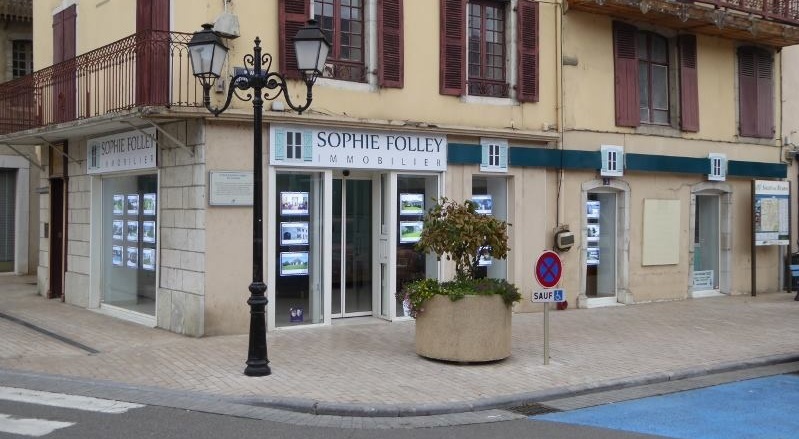 1407 - A lovely house situated in a secluded, quiet residential area, only a short walk into the centre of the beautiful tourist town of Salies de Bearn. This property offers great living space and an enclosed garden. The house consists of a day room, newly fitted kitchen, large and luminious living/dining room, two ground floor bedrooms, newly fitted shower room with WC and a a further individual WC. The first floor has a large open space, currently used as a bedroom, but could be converted to provide two bedrooms, plus another shower room and WC. Outside the property offers a pretty terrace, ideal for outdoor entertainment. The garden is a super size for easy maintenance and currently has an above ground pool. The rear garden gate enters into a private woodland leading to a very small stream. This house offers the perfect oppourtunity to arrive with suitcase and enjoy life.